Glasgowmusic.co.uk - Feature : "LADYTRON TO RELEASE �BEST OF LADYTRON: 00-10� "
The albums, surveyed on the career-spanning Best of Ladytron: 00-10, reflect the quartet�s deftly executed (and delightfully subversive) dualities: primordial grooves vs. lushly layered synths; sanguine melodies vs. shimmering atmospherics; and art-house detachment vs. the poignant narratives delivered by dueling sirens Marnie and Aroyo. Ladytron has created a body of work that reveals a fresh creative arc � and, as time has told, served as a reference point for a current crop of artists such as Lady Gaga, Goldfrapp, La Roux and Crystal Castles. �There just weren�t that many people making pop music with synthesizers. We didn�t invent it, but we did it in a very different way,� Aroyo says now, reflecting on a decade highlighted by principal releases 604 (2001), Light & Magic (2002), Witching Hour (2005) and Velocifero (2008). A two-disc deluxe version, featuring an additional 16 tracks & 80-page photo booklet, will also be available on March 29. 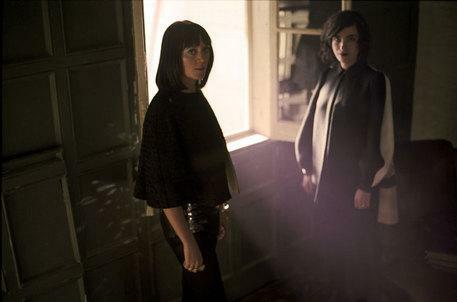 This summer, Ladytron will reveal a new studio album, title TBA, for the first time in two years. Stayed tuned for more news in the coming weeks. This Blog has been viewed 1036 times.